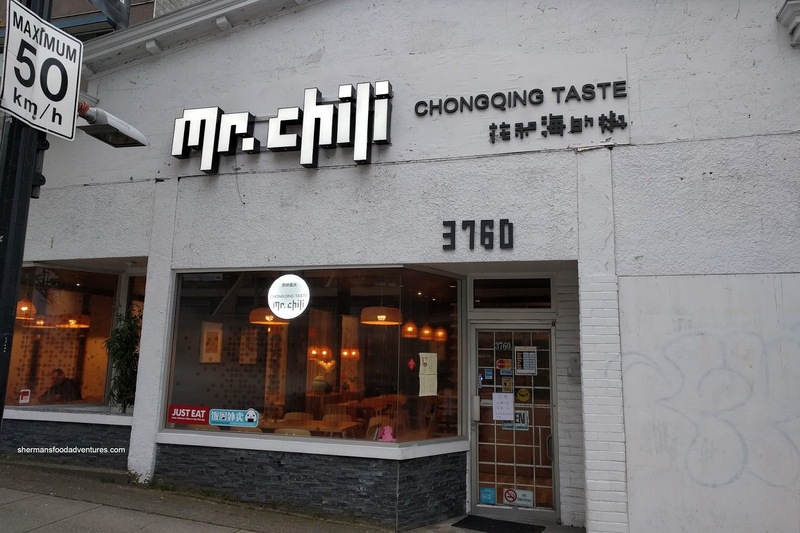 For the longest time, there was this decrepit-looking sushi restaurant on Hastings near Boundary. I never did visit the place, even though there was an Entertainment coupon year after year. Then all of a sudden, it closed and a Szechuan restaurant took its place. 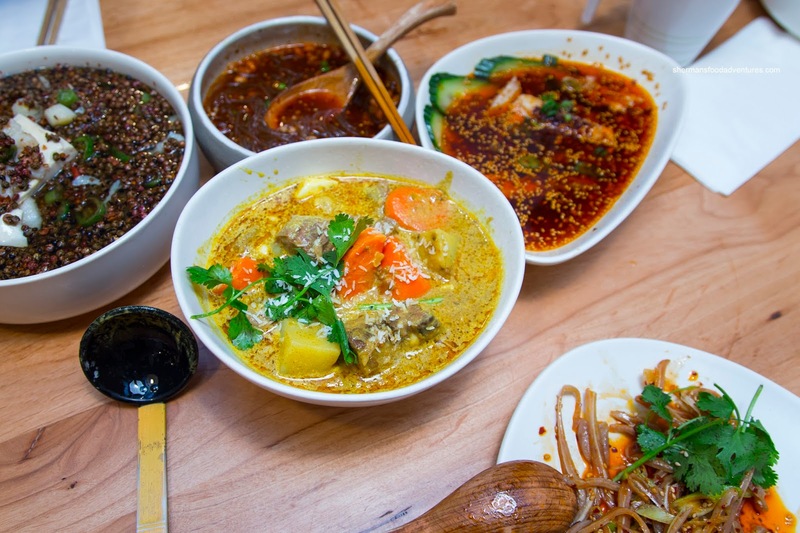 However, it wasn't any ordinary traditional-style Chinese restaurant. Rather, they did extensive renovations to make the place chic, clean and inviting. Despite some mixed reviews, I took a chance with a Groupon and invited Emily, Diana and Amy to join me. Although the menu is fairly limited, we were able to find some items that interested us. We were pleasantly surprised with our first dish in the Mouth-Watering Chicken. Despite being a relatively small portion, the flavours were very good. The tender and juicy dark meat was full-flavoured and captured the natural essence of chicken. There was an impactful amount of spice that was not overwhelming. 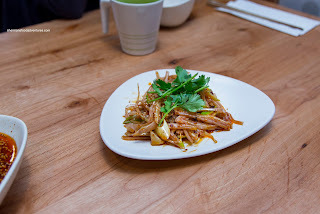 With a similar chili oil kick, the Spicy Pig Ears were also decent. A touch on the softer side, the pig ears were also rather flavourful with a lingering spiciness. 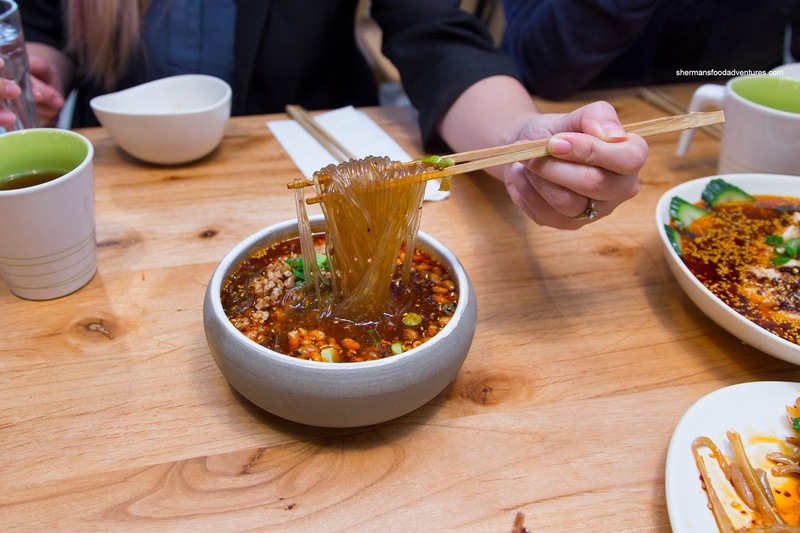 Continuing on the same theme, the Hot & Sour Potato Vermicelli was bathed in a broth that included a considerable amount of chili oil and roasted peanuts. I found the noodles to be slippery and still slightly chewy. The spice level was just right much like the previous 2 dishes. 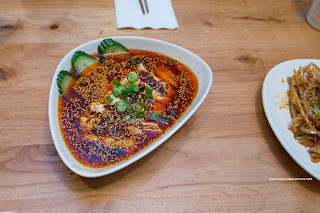 It was potent and lingered while not crazy spicy. The peanuts added a nice crunch and robust texture to the dish. At first, the Spicy Beef Noodle Soup didn't look that interesting, but once again, it was decently flavourful. The broth had a soy slant, but there was some meatiness as well as spice. 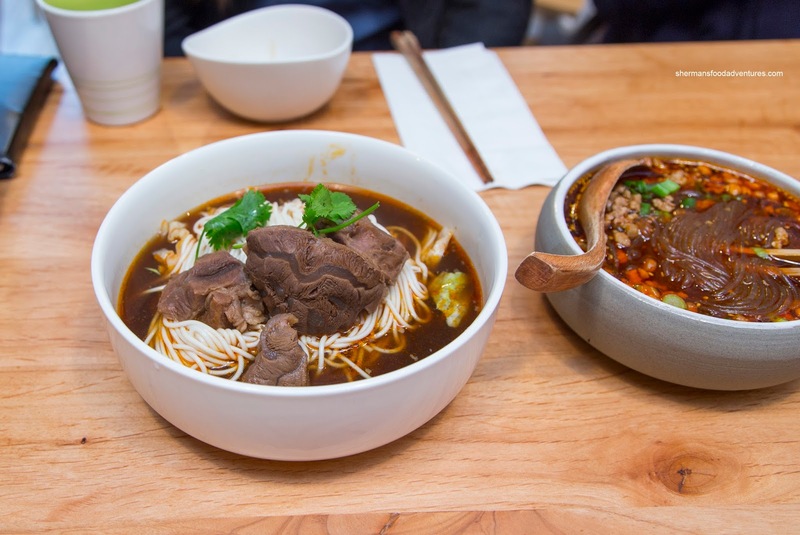 The noodles were slippery and al dente while the beef shank was sufficiently tender and flavourful, but more on the chewier side. Probably our favourite dish of the meal, the Curry Beef Brisket was bathed in a creamy coconut curry that was thick and rich. It was on the fattier side, but that was probably what made it aromatic and full-bodied. The chunks of beef brisket were fairly tender and not that fatty. I found that chunks of potato too big and also underdone while the carrots suffered the same fate. We had to get some rice to go with this as the sauce was just that tasty. 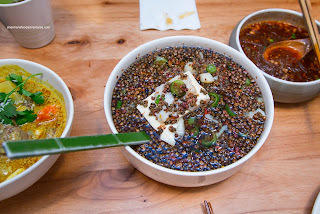 The Numbing Fish with Tofu arrived with a layer of Szechuan peppercorns. 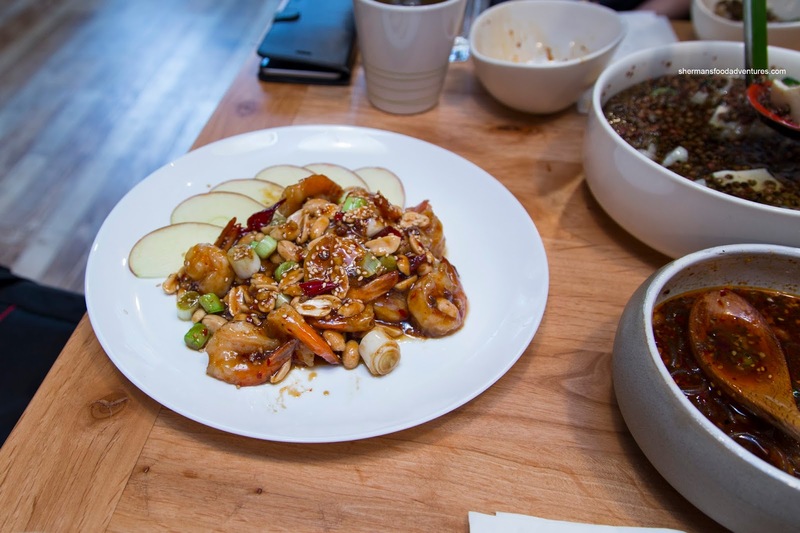 This version wasn't inundated with chili oil, so the natural sweetness of the buttery fish came through. The flavours were more clean and only a bit of numbing from the peppercorns. 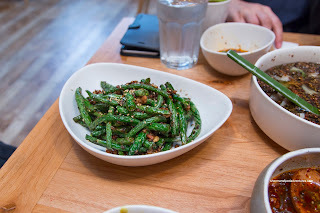 One dish that was total dud happened to be our one veggie option being the Stir-Fried Green Beans. Even though it was subjected to a proper oil-blanching, the beans themselves were old and past their prime. Hence, they were chewy and dry. On the positive side, there was plenty of wok heat and enough seasoning. The little nuggets of ground pork were not dry and had some spice. Although rather greasy, the Kung Pao Shrimp were tasty. In addition to the usual sweet and tangy notes, the chilis and peppercorns added the right kick needed to balance off the dish. After dining on a good variety of the menu, we all agreed that Mr. Chili was better than anticipated. Naturally, some dishes were better than others and the prices were not cheap, but the place does the job where there is little competition nearby.